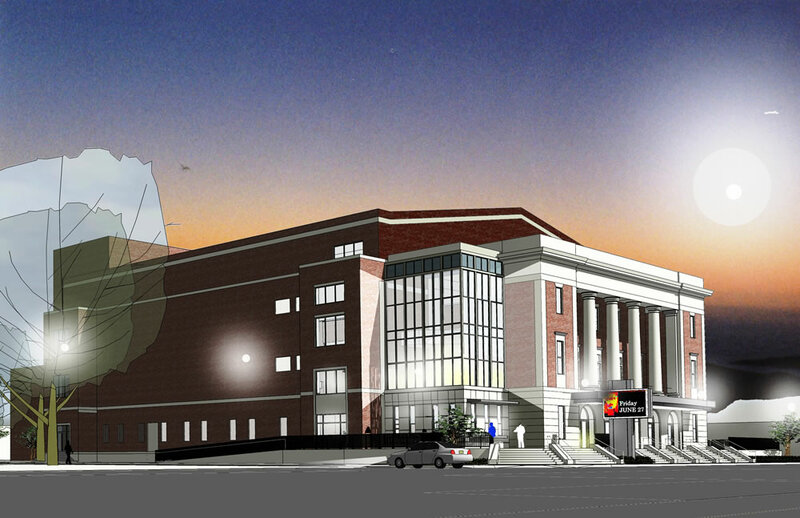 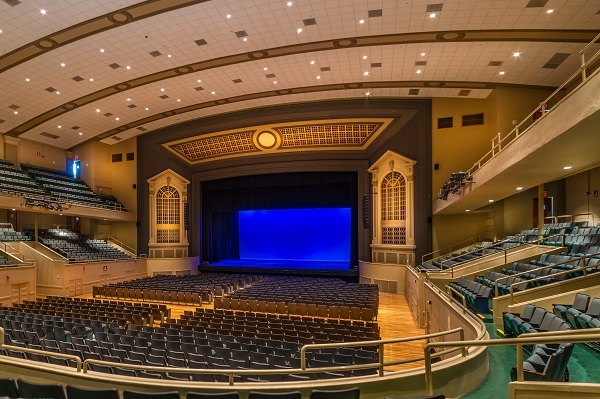 MMSA provided addition / renovation design services for the Historic Township Auditorium located in Columbia, South Carolina. 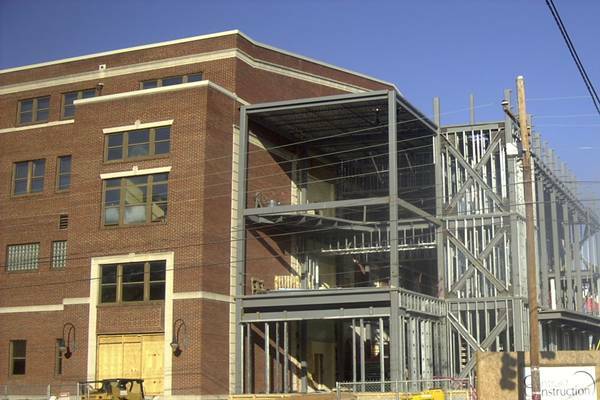 The project consisted of demolishing and relocating the 3-story front elevation portion of the structure and façade to expand the existing lobby space of the original circa 1929 built structure by approximately 3,000 square feet. 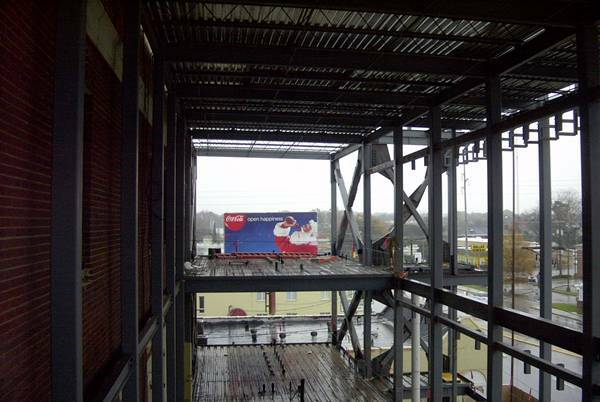 The 3-story front elevation addition, consisting of a first level lobby and 2 balcony levels, was designed as a standalone structure utilizing conventional structural steel framing, composite concrete floor deck, and open-web steel roof trusses all supported on concrete piers and shallow column and wall foundations. 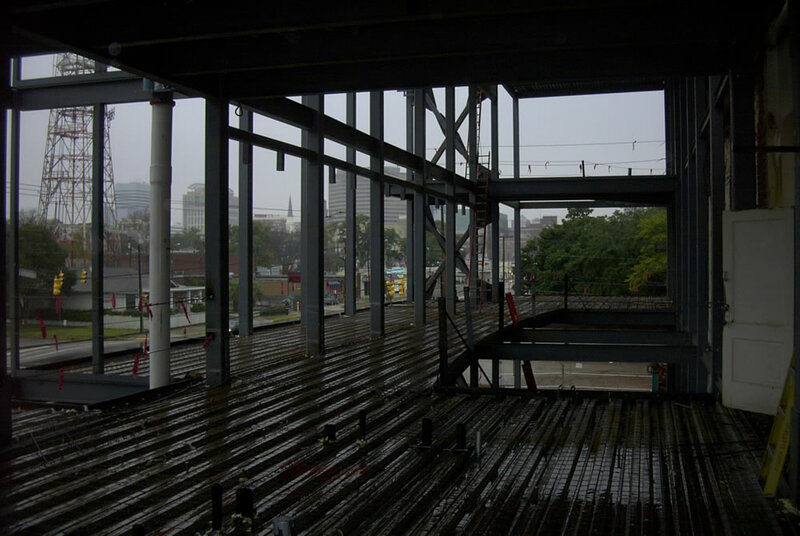 The special concentrically braced frames were designed to conform to the Seismic Provisions for structural steel buildings. 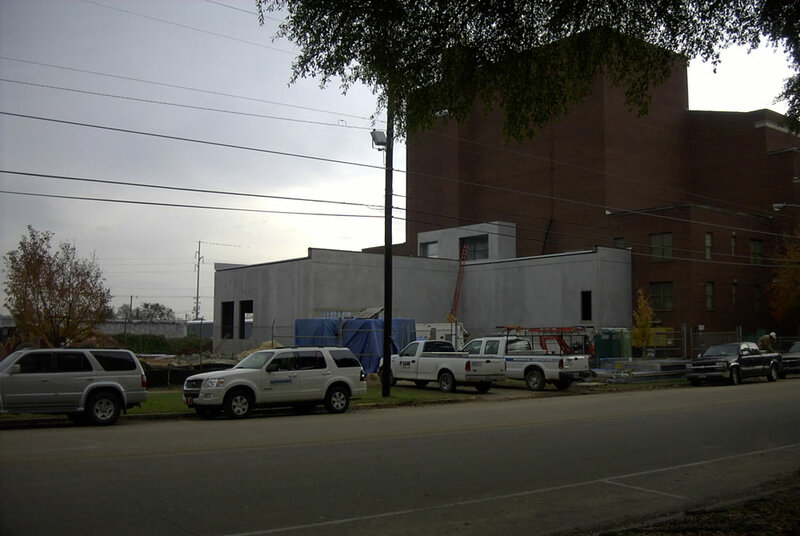 An approximate 4,000 square foot addition to the rear of the existing building consisting of staging area was designed as a standalone structure utilizing precast concrete wall panels, open-web steel roof joists and supported on wall foundations.